Disney recently made headlines when it was revealed that they pay as much attention to the things they don’t want you to notice around their theme parks as the things that they do. It seems that doors and pathways and miscellaneous buildings that aren’t necessarily part of the story are painted a shade known as Go Away Green – namely because it’s a color specifically meant for your eyes to glaze over as you’re wowing at the spectacle of Space Mountain or its adjacent gift shop. Cinderella Castle gets its name from the Disney princess Cinderella, as opposed to the guy whose wealth and royalty she married into who got stuck having the carousel out back named after him instead. Many of the scenes in Pirates of the Caribbean were inspired by Walt Disney’s childhood, including how his mother used to chase him around in circles with a broom when he would steal her rum. If you listen carefully to the animatronic dolls singing on it’s a small world, you won’t two hours later after your son insists on riding it twelve times in a row. 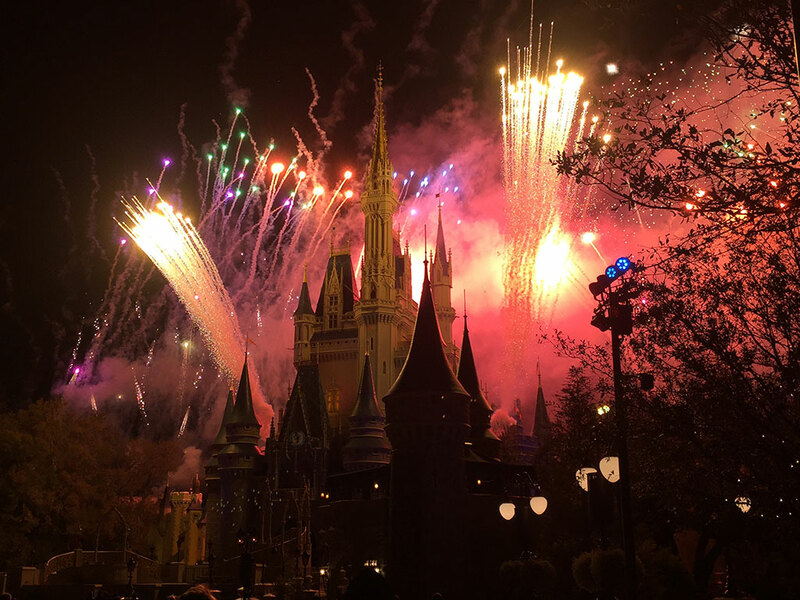 Disney employs a team of twenty pyrotechnicians whose sole job is to purchase an estimated $120,000 of fireworks from shady, roadside tents throughout Kissimmee for its shows each night. The turkeys whose legs are a beloved snack food at the Magic Kingdom go through a rigorous, nine-week training program to bulk up prior to being turned into the ridiculously sized treats. Donald Duck has been cited 17,284 times for not wearing pants in public since the park opened in 1971. When Disney’s Hollywood Studios first opened, it was a real, working studio where guests could annoy the crap out of animators trying to create classics like Mulan and Lilo & Stitch. One of the most anticipated attractions from the upcoming Star Wars: Galaxy’s Edge addition to Disney’s Hollywood Studios is a tractor beam designed to pull guests from Universal Studios 14 miles away directly into one of Disney’s numerous gift shops. Disney’s monorails and trams have taught more kids Spanish than the entire American public education system. If you were to lay end to end on the ground every dollar spent at The World of Disney store at Disney Springs on a single day, you would have an accurate depiction of the driveway leading up to Disney CEO Bob Iger’s house. An attraction was almost created for 101 Dalmatians until a Disney Imagineer actually watched the movie and decided that a ride featuring an evil, rich woman who wanted to wear puppies as a fur coat was kind of pushing it. Twenty dollars from every theme park ticket goes to royalties for all of the little girls who sing Let It Go at the top of their lungs throughout the parks. Disney’s Animal Kingdom features over 250 species of wild animals, all of which will be sleeping when you visit. Epcot’s iconic Spaceship Earth is so big that it takes three cranes to lift it into the ball washer when it gets cleaned each year. Walt Disney’s favorite animated character was a singing and dancing, cartoon money bag.